Photos are really important to me; they are a visual reminder of the treasured memories I am making with my family. Every time we go away my camera memory card gets a little fuller and when we return my social media accounts get filled with photos of our special moments. Yet our family albums, the things I love looking back on from my own childhood, are sitting empty in the cupboard. My heart aches a little when I think that my daughter will grow up without one of these binders full of photos of family & friends and special moments in time. An album that would show Lily just how much she is loved by Mummy & Daddy and an album she can treasure for the rest of her life and show her own family in years to come just like I show her mine. Recently, this has played on my mind a lot; especially when I look back through the photos albums of my own special childhood. 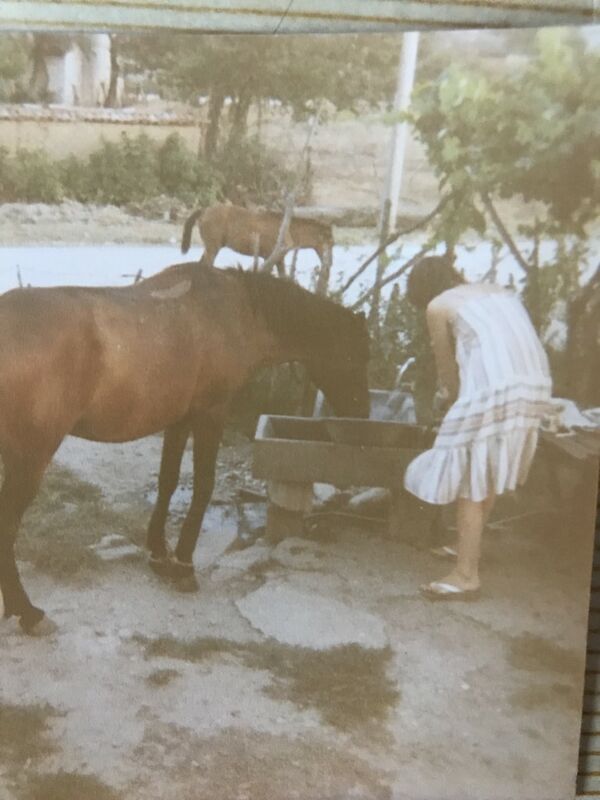 I see photos of the long, hot Summers spent in Crete and photos of long, cold winters which were spent with a mixture of being home amongst all our family & friends in England or visiting my grandparents on their farm in Greece. When Epson got in touch and invited me to review their Epson Eco-Tank ET-7750 printer I thought this would be a great opportunity to create that special album for Lily full of her special childhood memories. The Epson Eco Tank ET-7750 is designed especially for printing photos at an ultra low cost. This will mean we can print all of our photos without the worry of buying a new ink cartridge every other week! Each printer comes with enough ink to print up to 3,400 photos! That’s up to 3 years worth of ink if we print just over 1,000 photos a year. This is so much better than our old cartridge printer as although that one was cheaper to buy initially, it definitely cost us a lot more money in the long run as we were forever buying ink and we didn’t even use it to print ink heavy things like photos! The Eco-Tank ET-7750 was so quick and easy to set up and we both love being able to print directly from the iPhone app – this means we don’t need to turn the laptop on and wait for it to warm up every time we want to print! As much as I love to take photos and share them to social media and will continue to do so, I have always worried what would happen when today’s social platforms get replaced like My Space and Friends Reunited did. Will all our treasured memories die with them? There has already been a #deletefacebook movement over on Twitter this week regarding the way our personal data is being used. I am making use of our Eco-Tank ET-7750 and have starting printing off our favourite memories in preparation for the day when the big platforms we use now are no more – don’t get caught out! The Epson Eco-Tank ET-7750 is very quick to set up and easy to use and the will give me extra piece of mind that our precious memories will be preserved. Disclosure: We received the Epson Eco-Tank 7750 Free of Charge in exchange for an honest review.